“Our guys – and I didn’t realize this at first – they carried names and faces of those guys around. When the Fort Riley troops were over in Afghanistan, the players were looking at the newsletters, and they were concerned about the soldiers’ well-being,” Sean Snyder said. LITTLE ROCK, Ark. — (Nov. 8, 2017) – The Frank & Barbara Broyles Foundation is pleased to announce the nominees for the 2017 Broyles Award, which honors college football’s top assistant coaches. The 56 nominees in this year’s class were selected from approximately 1500 assistant coaches representing 129 Division One programs across the country. For the first time in the award’s 22-year history, a committee representing the Football Writers Association of America (FWAA) was also included in the Broyles Award selection process. An 18-member selection committee of distinguished former head coaches, along with a committee representing the Football Writers Association of America will select 15 semi-finalists and five finalists from the list of nominees and an overall winner. Those finalists will be invited to travel to Little Rock, Ark. where the 2017 Broyles Award winner will be announced on Tuesday, December 5th at the Marriott Hotel. For more information about the award, download the official Broyles Award brochure here. The winner of the 2016 Broyles Award was Brent Venables, Clemson defensive coordinator. Winners from the past five seasons are not eligible to be nominated for the Broyles Award. For a list of all previous winners and finalists, visit the Broyles Award website. This year marks the second time the Frank & Barbara Broyles Foundation has presented the award. Proceeds from the 2017 Broyles Award support the mission of the Broyles Foundation; to provide education, support, and resources to Alzheimer’s caregivers. The Broyles Foundation can be followed on Facebook and Twitter. Fort Worth, Texas, November 7 — Led by the Kansas State football program, the finalists have been named for the 2017 Armed Forces Merit Award presented by the Football Writers Association of America (FWAA). 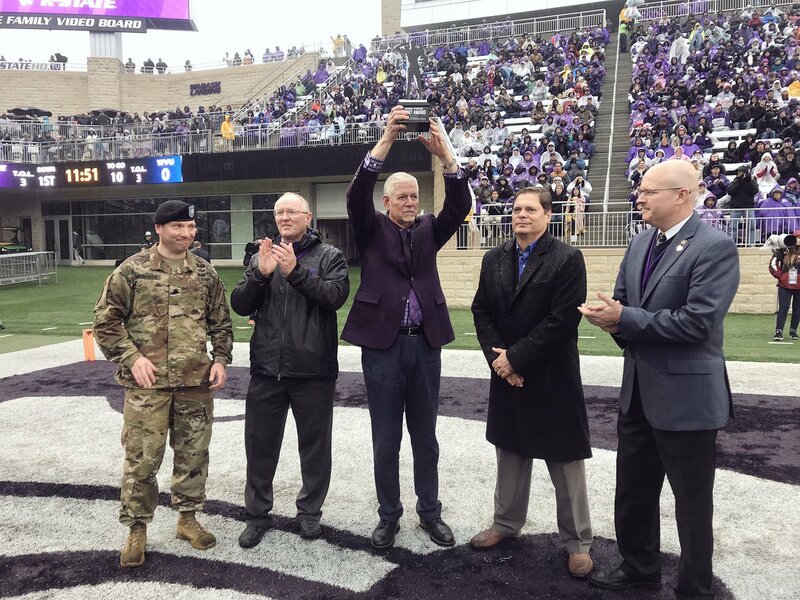 A nominee for the Armed Forces Merit Award since 2013, the Kansas State football team has been a finalist for the Lockheed Martin Armed Forces Bowl and FWAA recognition the past two years. The Kansas State relationship with Fort Riley started in 2006 when Lt. Col. Patrick Frank approached former Wildcat coach Ron Prince about partnering his soldiers with the Kansas State student-athletes. The partnership has continued with legendary Wildcat coach Bill Snyder. Other finalists for the 2017 Armed Forces Merit Award presented by the FWAA, are Jose Renderoskeiffer, a Navy veteran and a graduate linebacker at Fairleigh Dickinson University, Rory Coleman, an Army veteran and senior defensive lineman at the University of Central Florida, and Dr. Chris Howard, a retired Air Force reserve lieutenant colonel and the President at Robert Morris University. Dr. Howard also serves as a member of the College Football Playoff selection committee. With 38 nominations considered this fall, the award’s selection committee of five FWAA members and two representatives from the Lockheed Martin Armed Forces Bowl will determine the 2017 recipient. Marine veteran Steven Rhodes, a defensive end at Middle Tennessee State University where he competed four seasons for the Blue Raiders, was honored last November as the fifth recipient of Armed Forces Merit Award presented by the FWAA. A dirty little secret only seasoned scribes would know and that most fans probably don’t is that the new wave of brand-building college football coaches, so loquacious in public, are not always very personable in private. I’m not saying they’re necessarily frauds, but I won’t credit them with an overabundance of genuineness, either. We know this because we have finely tuned BS detectors. Today’s coaches are products of their age. For a few, selling the program seems to be a more important part of their jobs than teaching the game. The money in the gig is too crazy. The sales job to recruits and parents and alumni and donors and fans bleeds into interaction with us. I’m old enough to know that wasn’t always true. Think about how quickly everything has changed in three programs around which I’ve spent my entire life — Michigan, Ohio State and Penn State. It used to be the same guy stuck around a school if he won. He not only became an institution and the face of a school, he became comfortable enough in his own skin and with his employment prospects that he got to know those around him — including reporters — not just as promotional targets or BS dispensers but as people. You didn’t have to particularly like them all the time to be able to access them, receive no-nonsense answers and feel like you were talking to humans rather than promoters. So it was with Bo Schembechler (21 seasons at Michigan), Woody Hayes (28 at Ohio State) and Joe Paterno (62 at Penn State, 46 as head coach). If you were a major writer on any of these beats, you could get these guys pretty much whenever you really needed them, one-on-one. And they would pretty much tell you exactly what they thought and how they felt. They didn’t know any other way. Unfiltered as Camel squares. There were others, even some the last few decades — Joe Tiller at Purdue, Hayden Fry at Iowa, Gerry DiNardo at Indiana, Barry Alvarez at Wisconsin. In basketball, Jud Heathcote and now Tom Izzo at Michigan State, Gene Keady at Purdue, Lou Henson at Illinois. Did they always try to spin the story their way a little? Sure. But they were also unafraid of showing their true selves. I feel fortunate to recognize a few familiar faces in the current coaching racket who remember that time, too. And one of them did something along these lines a few weeks ago that I feel deserves recognition. When the Penn State media contingent, which rivals the old UConn basketball “Husky Horde” for numbers, was preparing for Iowa week, we were informed that the dean of Big Ten football coaches, Fry’s protégé Kirk Ferentz, would be available to visiting media alone for a special conference call. What? True fact. It happened. At a Power Five school that’s a traditional power in football. I believe there were five of us on the call, arranged by Iowa associate athletic director Steve Roe and football SID Matt Weitzel. And each of us individually thanked Ferentz before asking our questions, so rare was such an occurrence anymore. 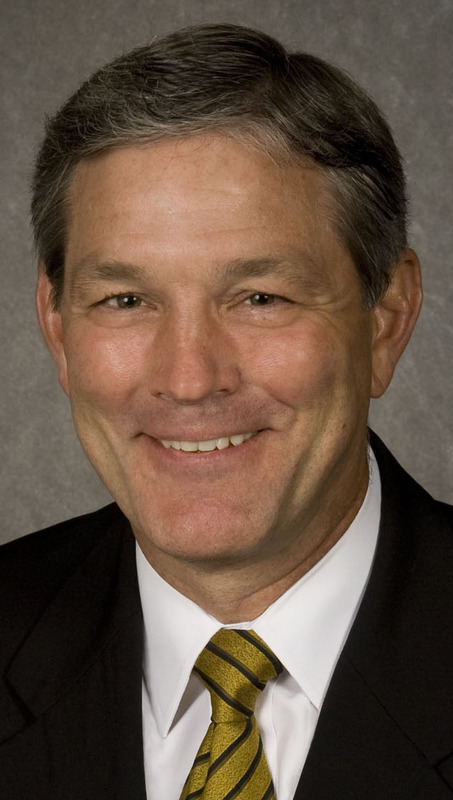 The kicker: Ferentz broke in, as I was the fourth one up thanking him. And then he thanked us, the PSU beat writers, for the show of gratitude. Maybe I’m imagining it, but I think the fact that only a handful of reporters were on the call and that Ferentz could see our appreciation made his answers better, more insightful. 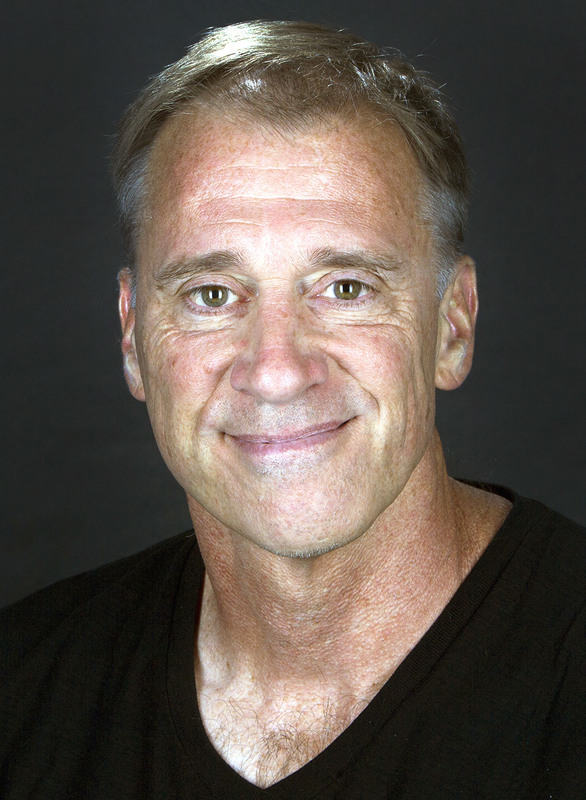 When I wrote that day’s column on him and his team, not only did he come off as something more than a cheap salesman, I reflected that smidge of humanity in what I wrote about him and Iowa football. Maybe some teenager or some parent somewhere saw it and thought, “That’s the kind of man you’d want to play for, isn’t it?” OK, well, it’s possible. There used to be a lot of such guys sprinkled around major-college “revenue sports,” flesh-and-blood men who you wouldn’t mind having a beer with after work — and actually just might on occasion. I’m glad there are still a few.